For players 4' 10" to 5' 3" tall. 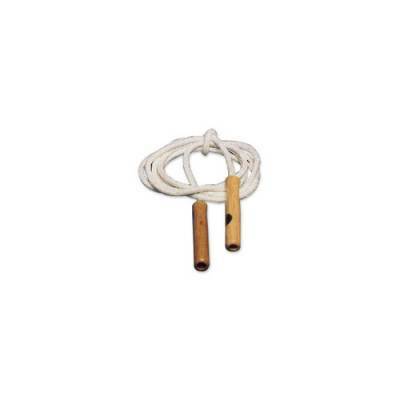 Ensure each student is equipped with a rope for aerobic activities during physical education class with the Heavyweight Sash Jump Rope. It's easy to keep children of all ages on track to a healthy lifestyle and physical fitness with this jump rope, which encourages students to have fun while exercising. Whether you're a coach or instructor of students in elementary or secondary school, you can provide students of different ages and heights with the proper-size jump rope thanks to the variety of available lengths.